England has the winter roast, Russia brings out the Borscht, France provides the delicious onion soup. But what can we Aussies say is our classical winter dish? Of course it is the Pie Floater! England has the winter roast, Russia brings out the Borscht, France provides the delicious onion soup, but if you’re heading to South Australia, it’s Pie Floaters that stand out as one of our most iconic dishes. While not everybody is a fan, it’s definitely something people seek out in the colder weather, so we’ve pulled together a list of where you can find some traditional, some weird, and some wonderful versions of the dish that usually consists of a meat pie nestled in some warming pea soup. One of the best pie floaters in town is right at the West Oak Hotel. With a treasured recipe handed down from head chef Tim West’s ancestors, you can expect a pie from the famous Red Door bakery but with a twist, you’ll find the pie floating in a pool of peas, topped with the delightfully South Australian Beerenberg tomato sauce. West Oak offers pub grub on another level, Tim’s time with his mother and Maggie Beer at Pheasant Farm has taught him what honest Aussie pub food, done the right way, can accomplish. Everyone can enjoy (now that there are vegan, nut free, gluten free options available) something with chips on the side. If you want to expand your taste range, the Kings Head Pub on the corner of King William and Sturt Street offers a choice between a mean brisket floater or a leek and spinach option, on a bed of green pea soup. The Archer Hotel in North Adelaide also houses a beef, mushroom and stout pie on pea puree. 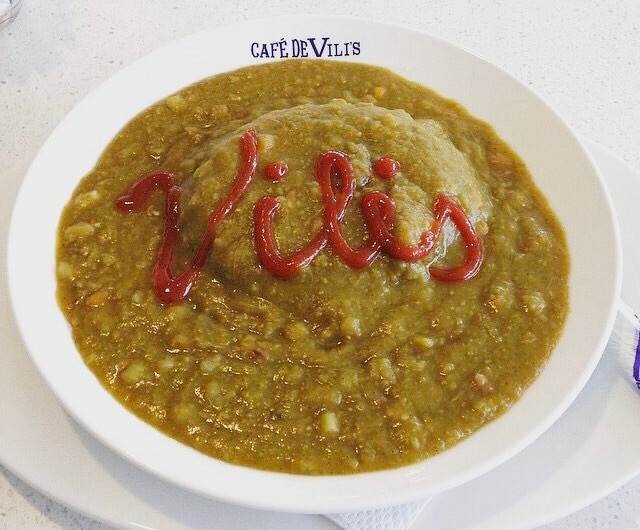 Who could go past a late night pie floater at Café De Vili’s! Open 24/7, it’s always there for when you get a sudden pie floater craving. Grab one with their traditional beef pie option, or mix it up with one of their flavoured pies. You can hit up with their Blair Athol location, or Mile End South. This little neighbourhood bakery in West Beach offers up cafe food and coffee, plus of course, the all-important Pie Floater. You’ll find them at 9 West Beach Road. Make it a floater! Branching out from simply using pies, Agent Go Go are offering up a Pie Floater upgrade on any pastry. Just add $5 to the bill, and you can add Julie’s tasty pea soup into the mix. You’ll find Agent Go Go at 46A Semaphore Road, Semaphore. This has to be the FANCIEST pie floater we’ve come across. It’s almost not a pie floater, but we thought it included all the key ingredients so we’d add it to the list. This dish serves up pulled Char-Siu pork with Tonkatsu sauce and Mozzarella cheese, in house-made pie crust, on Edamame pea puree and Mentsuyu nap sauce. Confused? Just look at the photo. It looks DELICIOUS. You’ll find them at Shop 4/455 Greenhill Road Tusmore. We welcome the return of this iconic Aussie winter meal and encourage you to order it when you’re out next. Know of anywhere we’ve missed? Email admin@glamadelaide.com.au to add your favourite to the list.